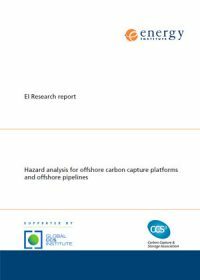 The intention of this publication is to provide a basic guide for the health and safety hazard analysis for offshore management of CO2 pipelines and platforms, where CO2 will be present as a part of carbon capture and storage (CCS) installations; communicate existing knowledge on pipeline and offshore facility design and operation; and identify areas of uncertainty where existing knowledge cannot be applied with sufficient confidence, considering the scale and nature of expected CCS operations in the future. Process safety management (PSM) is a major issue for the energy industry, with many organisations looking to adopt a more holistic and systematic approach to assuring the integrity of their operations. The Energy Institute (EI) Process Safety Committee (PSC) identified a benefit in promoting a common high-level framework for PSM across the energy industry sectors. EI High level framework for process safety management ('PSM Framework') provides a simple and systematic approach suitable for organisations large and small across the energy industry sectors, defining the key things organisations need to get right in order to assure the integrity of their operations incorporating technical, maintenance, operational, and human and organisational factors. gaps and uncertainties in carbon dioxide hazard analysis. 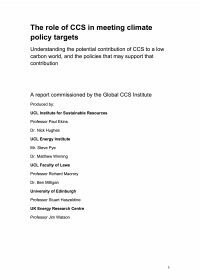 It is an essential new guide for modellers, engineers and health & safety specialists working on global carbon capture and storage projects.